May 19, 2015 (Source: Marketwired) — Graphite One Resources Inc. (TSX VENTURE:GPH)(OTCQX:GPHOF) (“Graphite One” or the “Company”) is pleased to report that the Company’s Graphite Creek Deposit near Nome, Alaska was one of two Alaskan strategic mineral projects cited in testimony to the U.S. Senate on May 12, 2015. The testimony, before the Senate’s Energy and Natural Resources Committee, was delivered by Edmund Fogels, Deputy Commissioner of the Alaska Department of Natural Resources (“DNR”). In the context of a discussion of critical and strategic minerals, Mr. Fogels called the Graphite One deposit (along with Ucore Rare Metal’s rare earth deposit) one of two “exciting projects that the Committee should be aware of,” noting that the U.S. has had no graphite production since 1991. 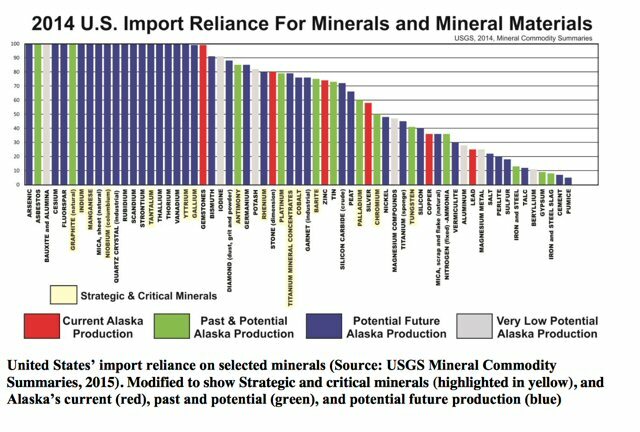 In his testimony, Commissioner Fogels cited Alaska’s unique range of known mineral resources, ranging beyond graphite to a total of 16 critical and strategic minerals. “As the United States strives to further advance high-tech manufacturing,” Mr. Fogels told the Senate Committee, “secure supplies of these inputs become even more important to our nation’s economic and national security.” Supporting documents provided by Mr. Fogels show that graphite is one of 6 critical and strategic minerals for which the U.S. is presently 100% import-dependent. Mr. Fogels full testimony can be read at the U.S. Senate Energy and Natural Resources Committee site: http://www.energy.senate.gov/public/index.cfm/files/serve?File_id=863857df-210f-4f99-821b-793db9ae0a4a . With an inferred resource of 154.36 million metric tons at 5.7 Cg, Graphite One’s Graphite Creek deposit is the largest natural flake graphite project in the United States. The deposit also shows unique mineralization features described as Spheroidal, Thin, Aggregate and eXpanded, or STAX. The Company believes that STAX has the potential to have a positive impact on the Preliminary Economic Assessment (“PEA”). As previously announced in the Company’s April 13, 2015 media release, on March 22, 2015, Graphite One Advisory Board Member Dan McGroarty was interviewed in a CBS “60 Minutes” segment titled: “Modern Life’s Devices Under China’s Grip.” The segment highlighted the dangers of foreign dependency on elements essential to green technologies, high technologies and advanced weapons systems. The CBS “60 Minutes” segment can be viewed at http://www.cbsnews.com/news/rare-earth-elements-china-monopoly-60-minutes-lesley-stahl/. GRAPHITE ONE RESOURCES INC. (TSX VENTURE:GPH)(OTCQX:GPHOF) is exploring with the intent to develop the Graphite Creek Project, USA’s largest known large flake graphite deposit situated on the Seward Peninsula of Alaska about 60 miles north of Nome. The Project is progressing from the exploration to the evaluation phase. Work to date has identified a large, high grade and at-surface resource with simple geology and good mineralization continuity. 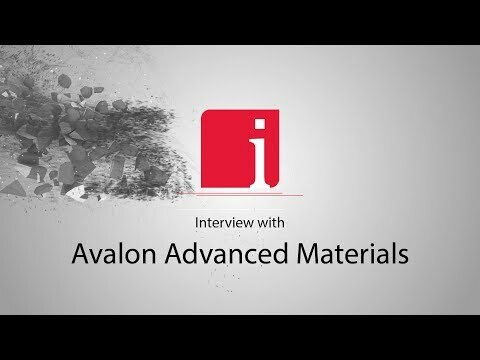 The Project has the potential to produce products that will effectively compete in the high end battery market (for both electric vehicles and power storage) as well as other markets for purified graphite and graphite by-products. This release includes certain statements that may be deemed to be forward-looking statements. 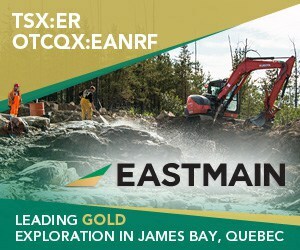 All statements in this release, other than statements of historical facts that address access to capital, regulatory approvals, exploration drilling, exploitation activities and events or developments that the Company expects, in particular the impact of STAX on the Company’s PEA, are forward-looking statements. Although the Company believes the expectations expressed in such forward-looking statements are based on reasonable assumptions, such statements are not guarantees of future performance and actual results or developments may differ materially from those in the forward-looking statements. Factors that could cause actual results to differ materially from those in forward-looking statements include market prices, exploitation and exploration successes, continuity of mineralization, uncertainties related to the ability to obtain necessary permits, licenses and title and delays due to third party opposition, changes in government policies regarding mining and natural resource exploration and exploitation, and continued availability of capital and financing, and general economic, market or business conditions. Readers are cautioned not to place undue reliance on this forward-looking information, which is given as of the date it is expressed in this press release, and the Company undertakes no obligation to update publicly or revise any forward-looking information, except as required by applicable securities laws. For more information on the Company, investors should review the Company’s continuous disclosure filings that are available at www.sedar.com.